Russia's hybrid military forces attacked Ukrainian army positions in Donbas 52 times in the past 24 hours with five Ukrainian soldiers reported as wounded in action (WIA), according to the press service of the Anti-Terrorist Operation (ATO) Headquarters. 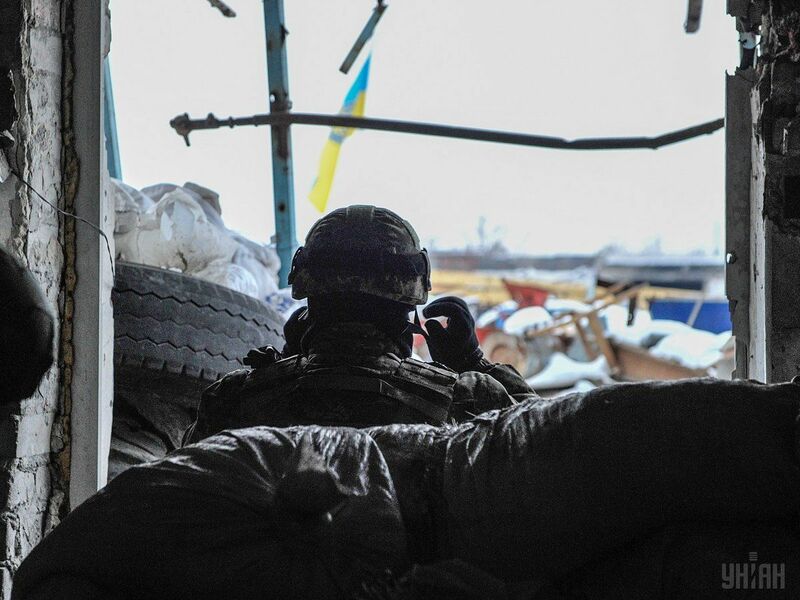 "The Mariupol sector: 21 enemy attacks were recorded. The militants violently attacked the Ukrainian positions near the villages of Shyrokyne and Pavlopil, and the towns of Krasnohorivka and Maryinka. Our fortified positions near the villages of Vodiane, Hnutove, Lebedynske, Bohdanivka, Novotroyitske and Chermalyk also came under fire. In particular, the enemy used banned 120mm mortars to shell the fortified positions near Pavlopil," the report says. The town of Avdiyivka in the Donetsk sector remains the hottest spot. Its outskirts and some positions to the south came under fire from 120mm mortars and a tank. The enemy also used 122mm artillery systems there and near the village of Kodema. Read alsoMilitants attempt to penetrate Ukraine defense lines near Avdiyivka, failIn the Luhansk sector, there were 13 recorded instances of militant shelling in the past day. In particular, 120mm and 82mm mortars were used to attack the Ukrainian positions near the village of Krymske. In the evening, the militants started firing 82mm mortar shells near the village of Novo-Oleksandrivka. "The Russian occupation forces used automatic grenade launchers and heavy machine guns near the village of Novozvanivka. Furthermore, they opened fire from grenade launchers of various systems near the villages of Troyitske and Lobacheve," the press service said.